Your first defense against weeds in your sod grass is a healthy lawn. Fertility, irrigation, and consistent mowing are necessary for a thick dense lawn. Thick dense sod will keep weeds from ever getting started in your lawn. Any time your lawn becomes thin or stressed, the sod will begin to lose density and allow room for competition. Weed seeds are opportunistic, sitting idly by until given a little room and a little sunlight to allow them to start growing. There are two main categories of weeds—broadleaf weeds (dicots) and grassy weeds (monocots). Broadleaf weed examples are purslane, spurge, and dandelions. Grassy weed examples are crabgrass, goosegrass, and the hard to kill nutsedges. Weeds reproduce primarily from seed. Because most weeds are very prolific seed producers, there is usually an abundance of weed seed in any lawn just waiting for the right conditions to begin growing and competing with your lawn for space. Some weeds however, such as common bermudagrass, reproduce from runners that can grow above ground or below ground. The runners start new plants at intervals, sending down roots and then shoots, potentially taking over an entire area very quickly. 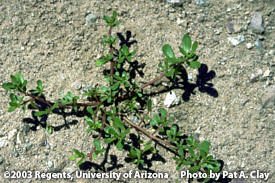 Weed control can be accomplished in two ways; pre-emergently (before the seeds germinate) or post-emergently (after the weeds have sprouted and emerged from the ground). 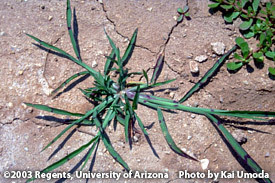 Applications of pre-emergent herbicides must be timed before conditions are right for the weeds to begin germinating. Post-emergent herbicides can be applied anytime after the weeds have emerged, but the younger the weeds the more effective the herbicides will be. Many post-emergent herbicides can damage your lawn if applied at the wrong rate or the wrong time. Please read the directions carefully before applying any chemicals to your sod grass lawn.